There are things about Cahors that stick in one’s memory. The first is that the appellation sits snug in the Haut-Pays, or high country, equidistant from the Atlantic Ocean, the Pyrenees, and the Mediterranean. Another is that autumn, particularly the crucial ripening month of September, is normally far drier in this region than in both Bordeaux and much of the Languedoc. Then there is the soil itself; it’s red, based on limestone but flush with iron oxides. Iron was once smelted here, and this element, coupled with the intrinsic qualities of the native grape, accounts for the extraordinary minerality that anchors the region’s best wines. The big thing about Cahors, however, is that it is the ancestral home of the black Malbec grape. The heart of the appellation is the Lot Valley, and it brings Napa Valley to mind (without the fancy wineries). The Lot River snakes down a distinct valley with a wide alluvial floor, a pastoral landscape quilted with vineyards. The indigenous Malbec was cultivated here during Gallo-Roman times long before Bordeaux became established, and it made Cahors’ reputation. Throughout the Middle Ages the wines of the Haut-Pays outranked Bordeaux in prestige, and those from Cahors in particular were often used to beef up the color and backbone of Bordeaux’s garnet-colored wines. Bordeaux, despite taxes extorted by its control of river and port, was never able to exile its rival. It took phylloxera in the late 1800s to do that. Today Cahors is in the midst of a renaissance, but even so its vineyard acreage is only 15% of what it was in the mid-1800s. Cathy and Daniel Fournié of Château Haut-Monplaisir farm 74 acres, 10 of which are classified as IGP Côtes du Lot while the remainder is all appellation Cahors (previously they farmed 44.5 acres and older vintages have this figure on the back label). Since 2009 all of these parcels have been farmed organically, and certification came in 2012. Daniel went from conventional to organic viticulture and in the process became absolutely convinced that the latter has profoundly improved the health of his vines and their fruit. If you were looking for a persuasive advocate of farming with a green thumb, he would be an excellent candidate. All of Château Haut-Monplaisir’s vines grow in various parcels surrounding the domain on what the locals call the third terrace of the valley floor. These terraces, or benches, sit on limestone bedrock and are layered alluvial gravel deposits left by glaciers. There are three such terraces in the valley; the third is the highest, furthest from the Lot, and with the second is considered to be the best by virtue of its well-drained soils. Above the third terrace come the mountain vineyards, high on the oak-scrub hills. 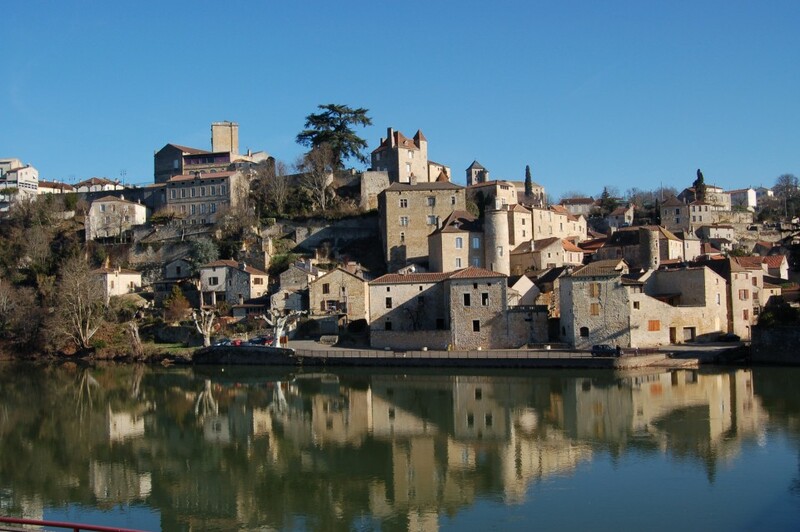 The photo below is of Puy l’Eveque, an historic village on the Lot fifteen minutes by car from Château Haut-Monplaisir. Cathy took over the vineyards in 1998 from her father, who had sold the crop to négociants. She and Daniel had a keen interest in making their own wine but realized they needed help. 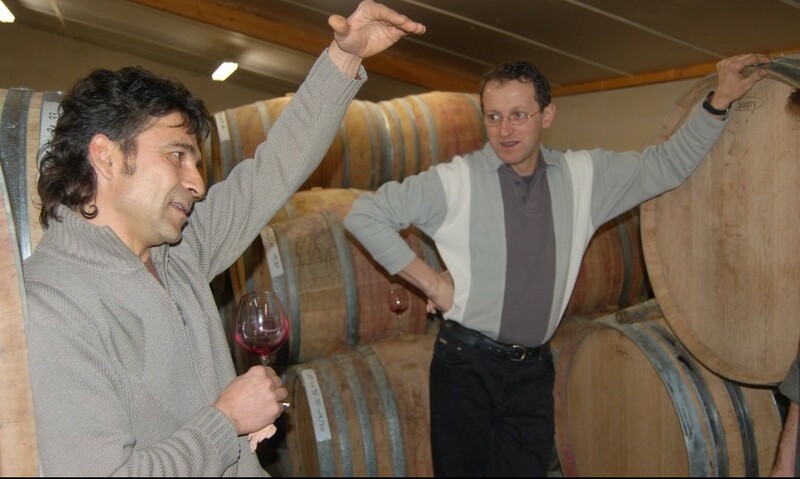 They reached out to Pascal Verhaeghe, the dynamic proprietor of Château du Cèdre whose vineyards grow on the second terrace (that’s Pascal on the left in the first photo above and Daniel on the right). Pascal immediately saw the potential of Haut Monplaisir’s site. He could also see that if great wine were made here then Cahor’s revival would be all the more successful, and that was far more important to him than possible competition between the two domains. Thus was born the partnership between Pascal and Daniel, who together are responsible for the wines of Haut Monplaisir. 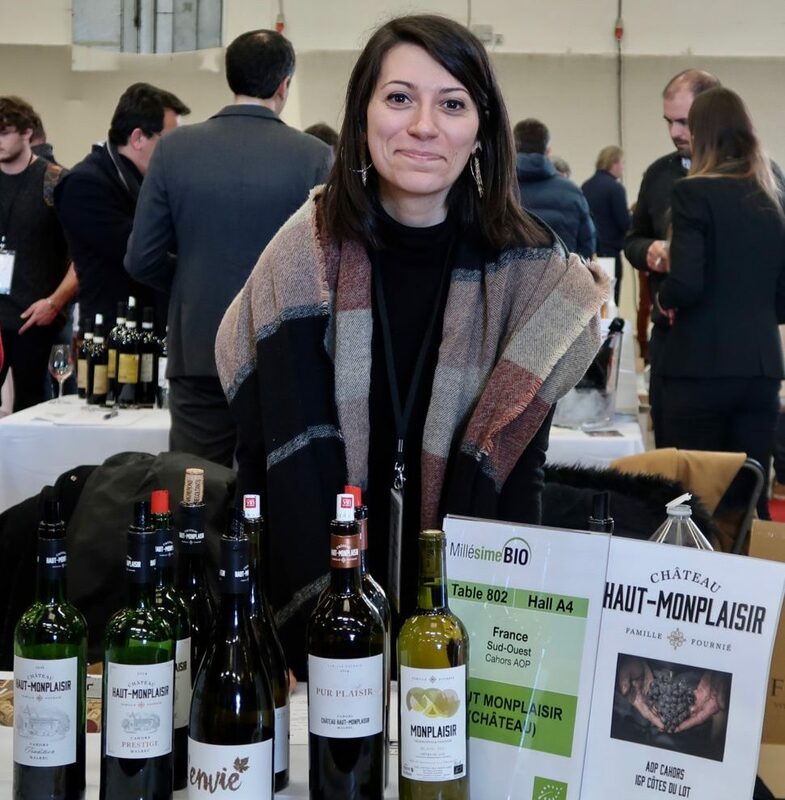 Recently, Cathy and Daniel’s daughter Mathilde joined the team, and they make four cuvées of Cahors, all 100% Malbec (Tannat and Merlot are often blended with Malbec to make Cahors—Tannat can add body, acid, and more tannin, while Merlot originally was brought in to soften Malbec’s tannin but often has trouble ripening properly in the appellation). The wines are never fined and only filtered lightly if required, but usually there’s no filtration. The grapes are always de-stemmed and the juice is never acidified (not even in the broiling 2003 harvest). The result is a hearty range of wines with a distinct sense of refinement. These are wines with a brooding, high-toned quality of wild elegance, and full of Cahor’s telltale iron-rich minerality. 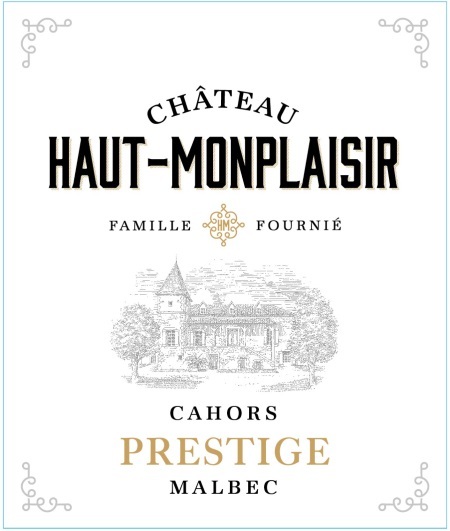 100% Malbec Tradition is the first or introductory wine from Haut Monplaisir. As with all the domain’s cuvées, this is 100% Malbec. Tradition is made and raised primarily in concrete vats, with 30% raised in neutral barrels. Aromatically intense, with rich spicy mineral fruit, this is a long, earthy rendition of Malbec. Production averages 4,200 cases. Prestige 100% Malbec The mid-tier cuvée, raised in mix of new and old barrels, both 225L and 600L demi-muids. Full, meaty, smoky, long and balanced. Normal production averages 3,000 cases. L'Envie 100% Malbec L'Envie was first produced commercially with the 2015 vintage, when the Fourniés made 3,200 bottles. L'Envie translates as to wish for it. The wine comes from a one hectare (2 1/2 acres) parcel of Malbec that was formerly used for the Prestige, and is made and bottled without any sulfites after an élevage in older 500ML barrels. No fining, and only a very light filtration. 100% Malbec The top cuvée made in 500-liter demi-muids. Alcoholic fermentation takes place in these new barrels while they stand upright. Afterward, wine is racked out, barrels are put on their sides and the ends put in, and the wine is returned to undergo malolactic fermentation and ages for 30-36 months. The memorable words penned by Andrew Jeffords about this wine say it best: "Opaque. Wonderful scents of bonfires and raw meat. Ripe terroir mixture. Deep vivid palate built on a core of smoky fruit. Soft tannic mass integrated into finish. Brilliant oak integration. Excellent." Normal production averages 600 cases.